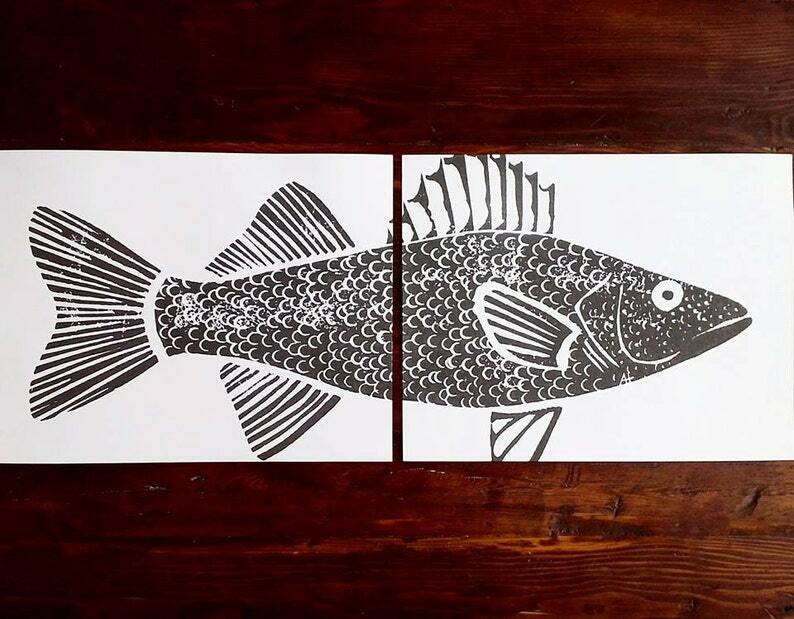 Made to order...The two print collection is applied with a hand-carved walleye stamp in grey on two 11 x 14 inch (recycled, white, lightly textured, 96 lb) paper. Slip these prints into two 11 x 14 inch frames. For the best look, try unmatted thin frames. Please contact me if you need another color.